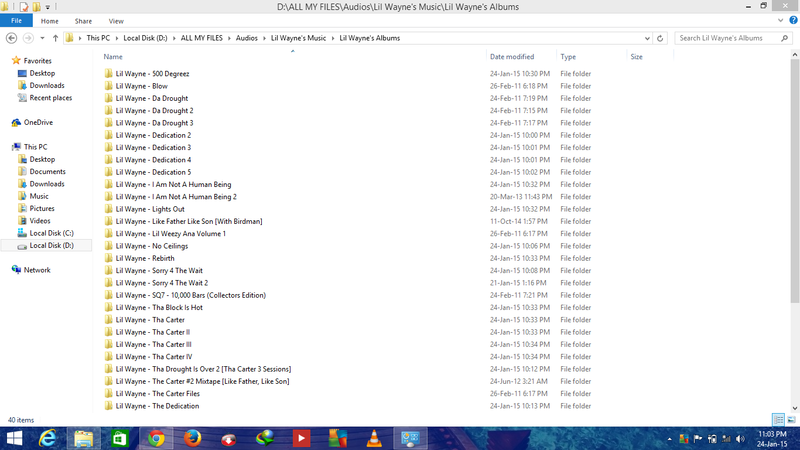 Today was a great day, I achieved my goal of downloading every single Lil Wayne song there is. I’m more than overjoyed. Now all I’m waiting for is Tune’s book, Gone Till November, to be released to the public. I’m definitely purchasing it. It will be the only book I will never regret buying. Posted on January 20, 2015, in LIL WAYNE and tagged LIL WAYNE, MUSIC. Bookmark the permalink. Leave a comment.